The Bedford By-Pass Bridge Structure was constructed in 1976 in Dartmouth, Nova Scotia. The 3 span structure consists of 8 1065 mm deep steel plate girders with a 215 mm thick reinforced composite concrete deck. The three span structure has side spans of 15.5m with a main span of 34.350 m which spans over Highway 102. The superstructure is supported on reinforced concrete piers and abutments all of which are founded on spread footings. In 2012, the Bedford By-Pass Bridge Structure sustained structural damage from a vehicular impact to the north girder bottom flange above the south bound lanes of Highway 102. In 2016, NSTIR awarded the contract for rehabilitation of the Bedford By-Pass Bridge Structure to Cherubini Metal Works. 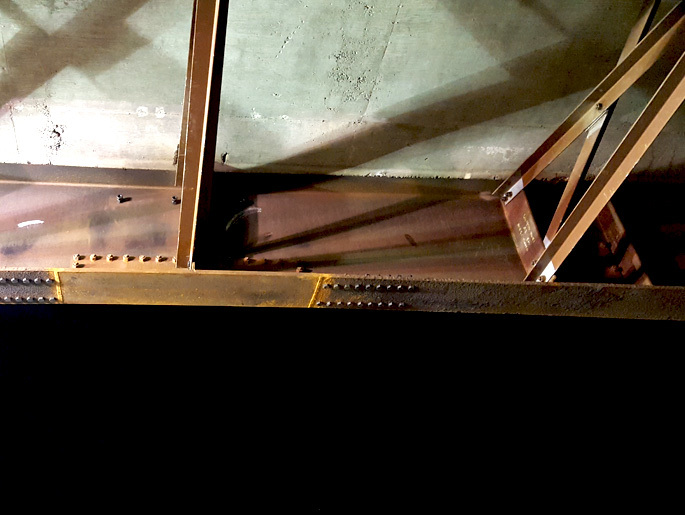 Cherubini Metal Works contracted HEC to provide structural engineering services for the rehabilitation of the portion of the Bedford By-Pass Bridge superstructure that sustained impact damage. 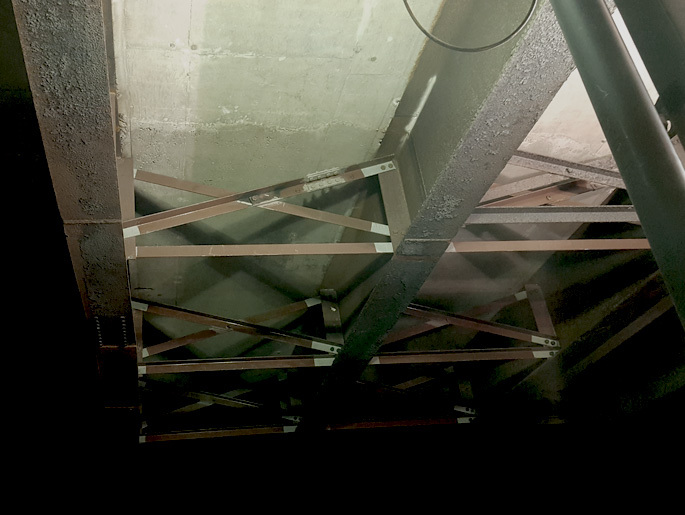 HEC completed a condition assessment of the damaged girder which entailed a detailed visual inspection followed by a detailed structural analysis of the current deformed girder geometry using three dimensional finite element models to ensure the damage girder was adequate during in-service conditions. 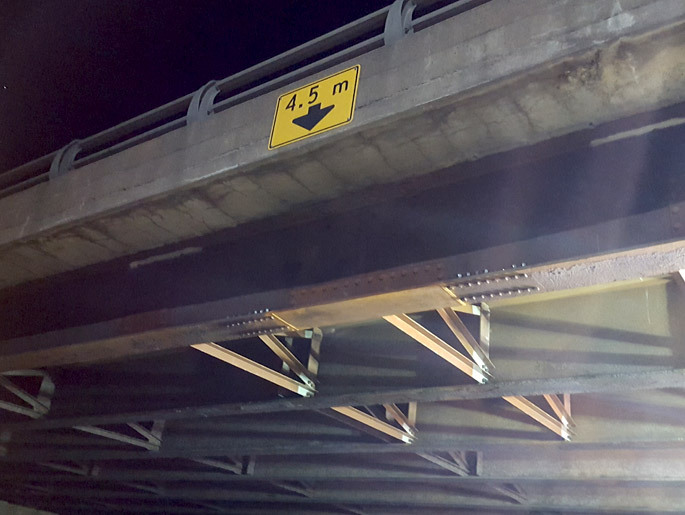 HEC developed a girder repair procedure that didn’t require replacement of the girder or propping of the damaged girder, thus minimizing impact to traffic on Highway 102 below and the Bedford By-Pass above. 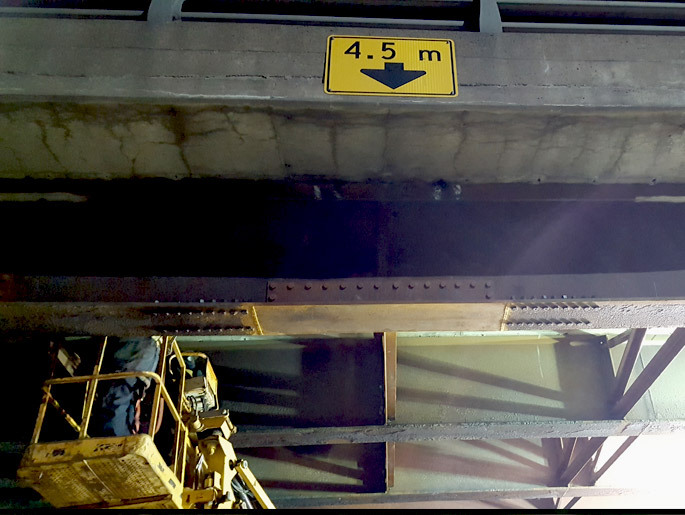 HEC provided detailed phasing drawings outlining the girder repair procedure to the contractor, in addition to providing the contractor with on-site services to ensure the girder repairs were being completed as per the repair phasing procedure and provide immediate assistance when necessary.